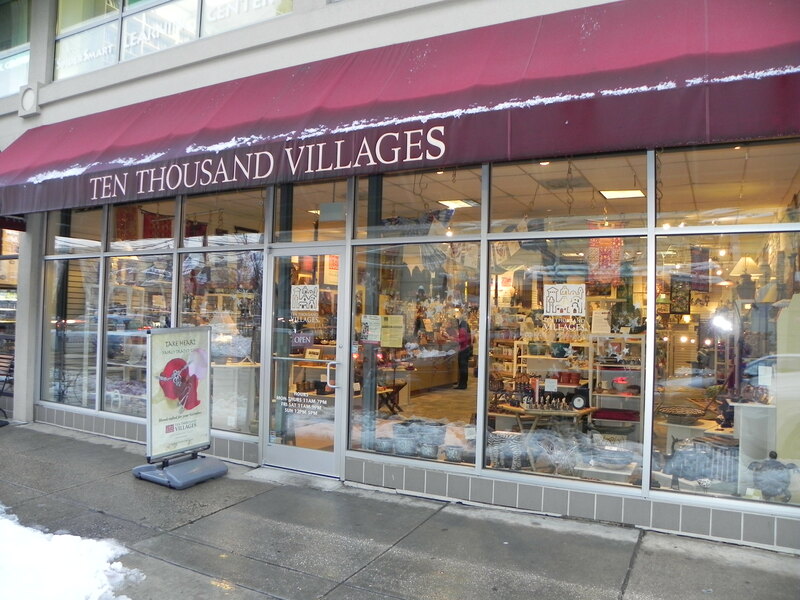 Of all the places in Bethesda that we have featured this month at Bethesda365.com, Ten Thousand Villages is perhaps the one I am most excited to share. Located at 4959 Elm St. in Bethesda, I have often walked by and thought, “I need to go in there one day” but I never really knew what they were all about. There were just some interesting arts and crafts items in the store windows that caught my eye. But it wasn’t until we visited recently that I learned what a wonderful organization it really is. 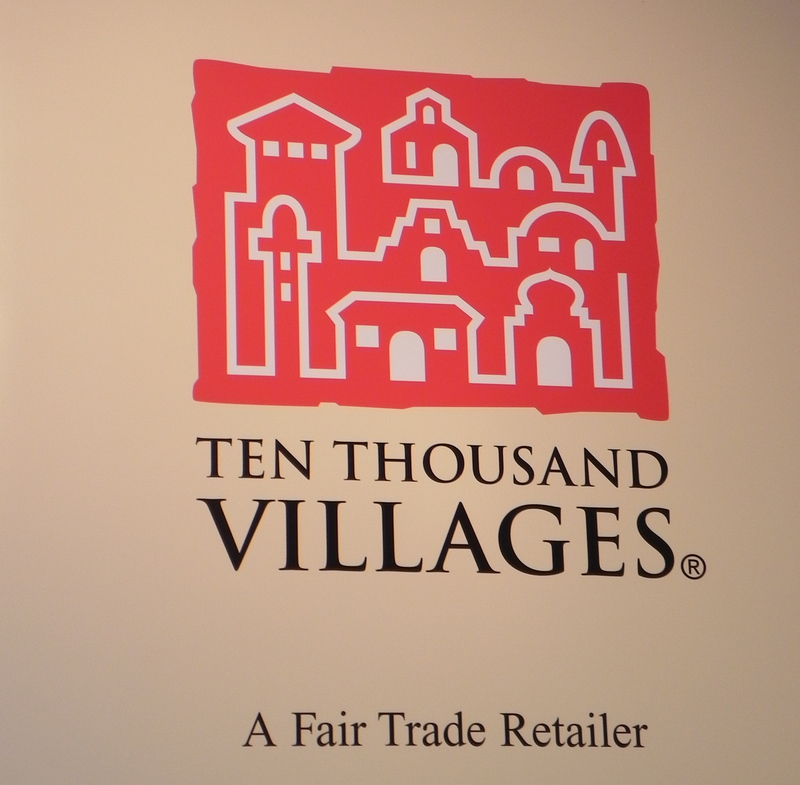 Ten Thousand Villages is a founding member of the World Fair Trade Organization (WFTO) – a global network of over 350 fair trade organizations positioned in 70+ countries around the globe. Their mission is to seek equity in fair trade for and to work in long-term partnerships with disadvantaged people from developing countries. These people would otherwise face serious barriers to enter the market and ultimately to sustain their own well-being. Artisans who create the goods for the stores are paid 50% when an order is placed – affording them an opportunity to avoid high interest loans – and then the remaining 50% at the time the order is shipped. 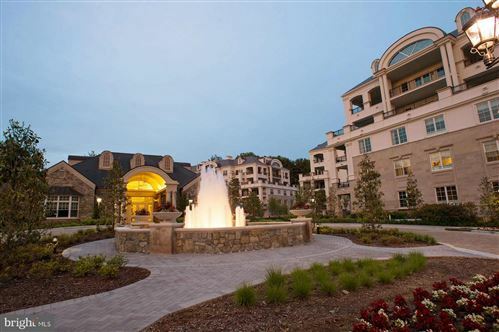 They are paid well and are never affected by discounts or markdowns. This income allows these talented people who would otherwise be under or unemployed to provide food, healthcare, education and housing to their families. The website for Ten Thousand Villages is absolutely FULL of interesting facts and information about their organization and the people they help. For example, they highlight a widow in Uganda who is able to provide a large 3 bedroom home and pay for the education, health and well-being of her family of six children through her income from basket weaving and her partnership with this organization. When you purchase an item from their store, you can almost feel the hands of the artisan across the globe extending into yours. The founder, Edna Ruth Byler, a Mennonite, had an epiphany upon returning from a trip to Puerto Rico in 1946 where she was overwhelmed by the poverty she witnessed there. She decided to do something to help. She began by selling goods from the trunk of her car to benefit artisans of the world and so began the grassroots campaign that 60 years later has become Ten Thousand Villages, now a 501(c)3 nonprofit program of the Mennonite Central Committee. A true visionary, this business woman was instrumental in changing the lives of thousands of people who continue to benefit to this day from her inspired and tireless efforts. This entry was posted on Monday, January 31st, 2011 at 7:00 am and is filed under Art & Culture, Going Green in Bethesda, Shops & Businesses. You can follow any responses to this entry through the RSS 2.0 feed. You can leave a response, or trackback from your own site.